Today is the 13th of the month so that means it is New Release time at Paper Sweeties!!! And the NEW stamps and matching Sweet Cuts are just so fabulous! SO versatile! First, I sponged some clouds on a white card stock panel and set it aside. 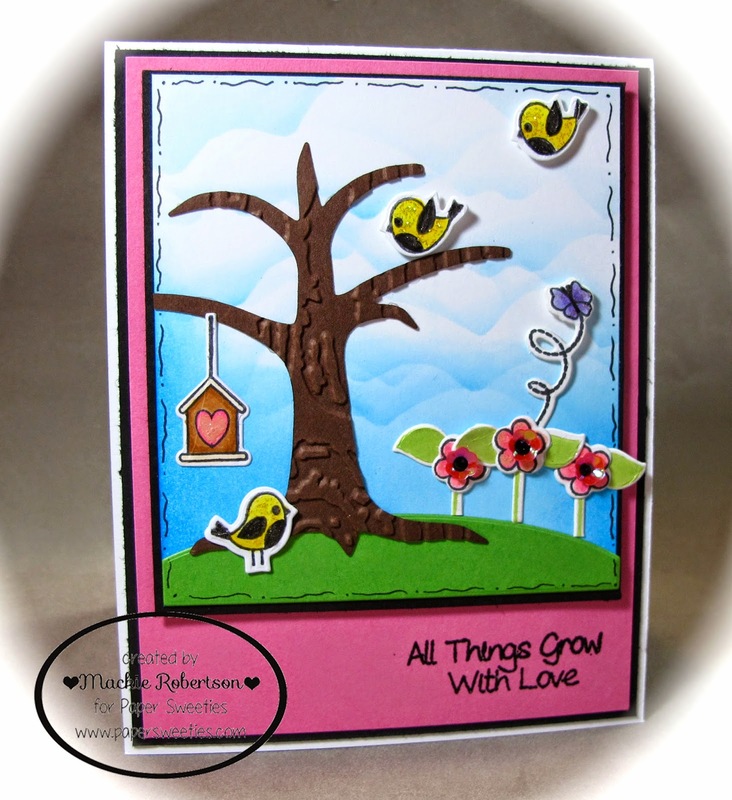 Next I stamped the birds, flowers, butterflies and leaves with Black Memento ink onto white card stock. I colored all of these images with Copic Markers. I then cut them all out with the matching Tree of Life:Add-On Sweet Cuts! I die cut the Tree from brown card stock and then embossed it with a woodgrain embossing folder. Now the fun began...assembling!!! These stamps and Sweet Cuts are just so adorable! Come back tomorrow for another sneak peek of these new Paper Sweeties stamps and matching Sweet Cuts! 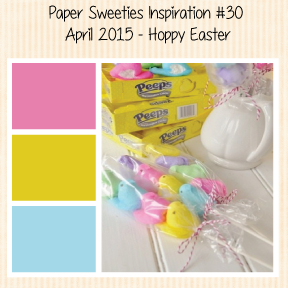 Now hop over to my Paper Sweeties Teamies to see lots more fun projects! Mackie your sweet card scene just makes me smile! I love the cloud background!! And the sweet birds throughout! Adorable!!! Love love love love this! LOVING the colors and the texture on your tree!!!!! What an adorable little scene you created!! Lovely sweet scene, Mackie! Your border just tickles! Such an adorable scene you created! Love the bright colors, too!! What a darling scene!! It looks like little baby birds leaving the nest. Very cute Mackie! Awesome! Love that pretty sky and the fun, embossed tree. A really sweet scene, and the pink background was the perfect choice. Love it!! !